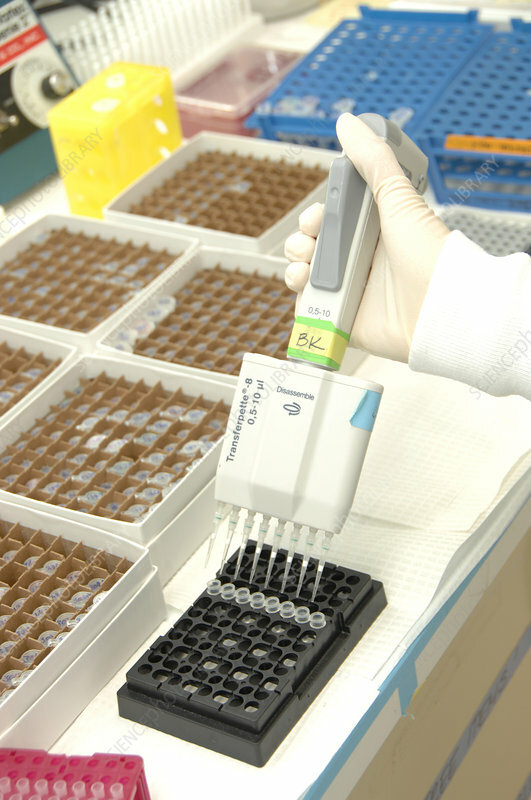 Researcher uses multi-channel pipette in lab. A pipette or dropper is a laboratory tool commonly used in chemistry, biology and medicine to transport a measured volume of liquid, often as a media dispenser. For manual high-throughput applications like filling up a 96-well micro-titer plate most researchers prefer a multi-channel pipette. Instead of handling well by well, a row of 8 wells can be handled in parallel as this type of pipette has 8 pistons in parallel. No photographer credited, dated June 30, 2009.